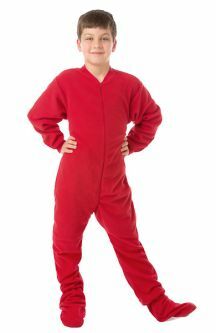 Big Feet PJs is the number one destination for onesie pajamas online. 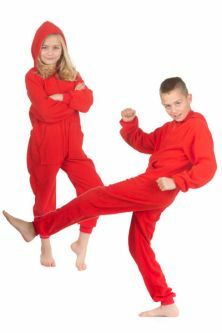 We sell the fun footed pajamas adults wear when they want to unleash their inner child. But we sell onesie pajamas for kids, too! 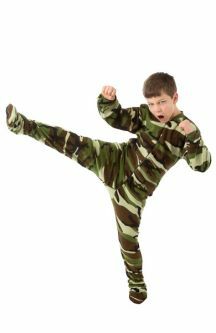 From 12 months to kids' large sizes, we have a huge selection of footed, two-piece, and onesie pajamas for kids, tweens, toddlers, and infants. Bedtime Has Never Been This Much Fun! 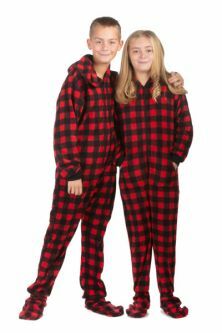 Our unisex onesie pajamas come in a variety of styles, colors, and sizes, which make them perfect for every member of your family. 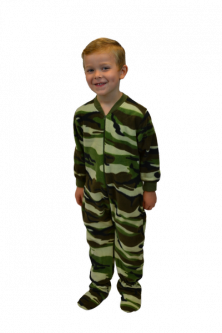 Our fleece onesie pajamas for kids feature fun colors and prints, like camouflage and hearts. They're made of 100% micro-polar fleece and are so durable, we're confident they'll last until your kids grow out of them. 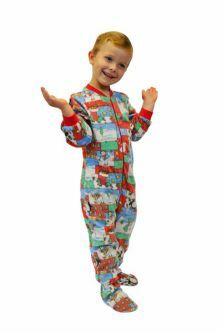 Plus, our Chocolate Brown with Hearts footed PJs are the exact pair of pajamas worn on Nickelodeon's "Yo Gabba Gabba" and featured on the "Today" show as a top Christmas gift! 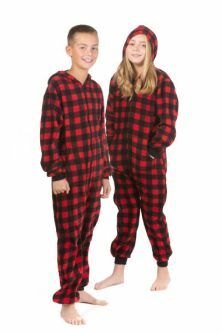 Kids of all ages also love our youth 100% cotton two-piece footed pajamas. 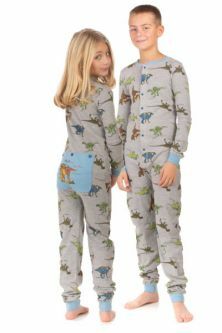 These fun PJ's come in T-Rex and Jurassic Dinosaur prints, Polar Bear prints, Zebra prints, and more. If you aren't sure what size to buy for your little ones, check out our handy size chart. 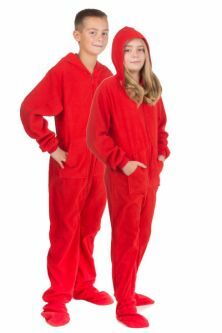 And remember, our onesie pajamas for kids come in all sizes, so mom and dad can get in on the fun, too! 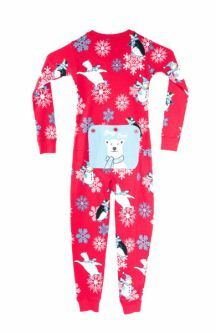 So take a look around; we're certain you'll find the perfect onesie pajamas for your kids. They're the coziest, snuggliest, silliest onesie pajamas online, perfect for the sleepiest members of your family. Tuck your son or daughter into bed wearing the cutest pajamas they've ever worn. Because when pajamas are this much fun, they might even start looking forward to bedtime again!